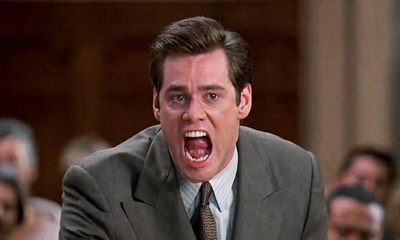 Jim Carrey raises to fame once again to gave us one of the biggest comedies of the 90's. This blockbuster tells a story about a lawyer who cannot tell a lie for a 24 hours to spend quality time with his son. You may know that the color of this pen is r-...re...ROYAL BLUE!! But how well do you know Liar Liar. My quizzes are mediocre and forgettable and you'd rather take the Game of Thrones Season 7 quiz, DAMMIT! !